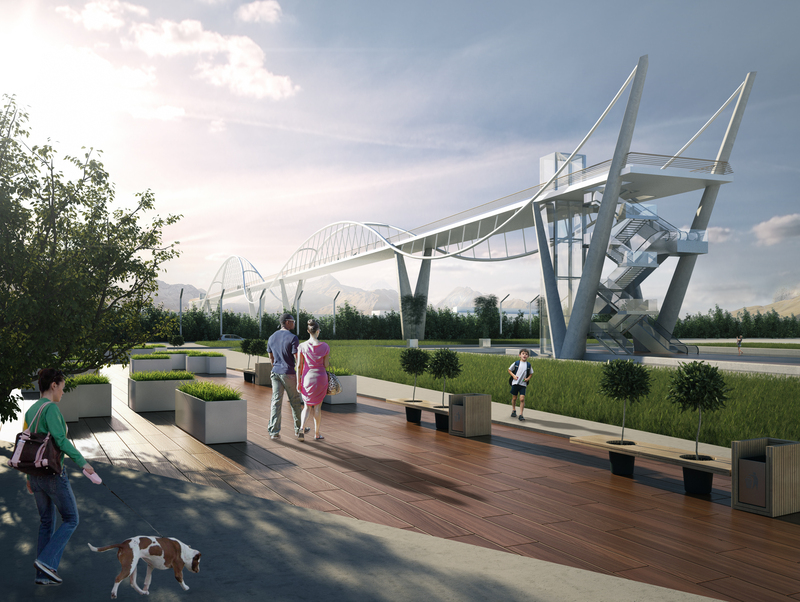 Architectural project of a pedestrian bridge sited in Milano. 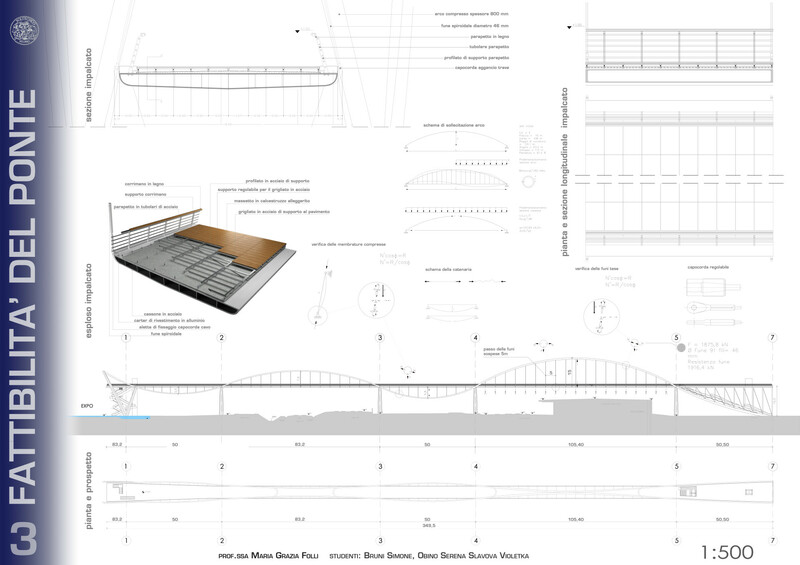 The main structure is composed by an alternate cadence between an arch-suspended and catenary supporting system. 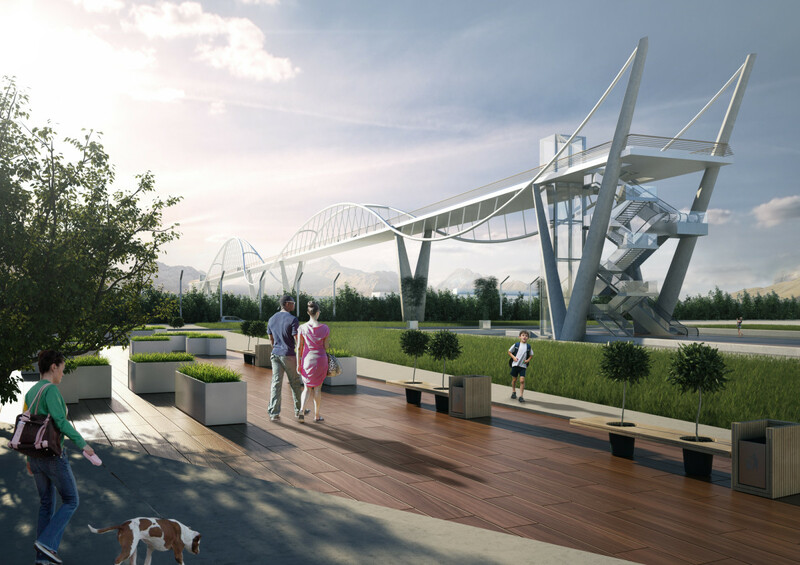 The arch and catenary works together to supprt the deck as a suspension bridge. The arch represents structurally an “arch tied bridges” where the orizontal component of forces are eliminated. The two arches are inclined towards each other and joined at the vertices, which improves transverse bending stiffness beacause the two arches stabilise each other. Axial forces are transferred by a supporting cables of steel. In the other hand, the two catenaries diverges and are supported by a series of tube shaped beams capable of supporting compression forces.